Yesturday I mentioned that I wasn't really in the mood during the last couple of days. 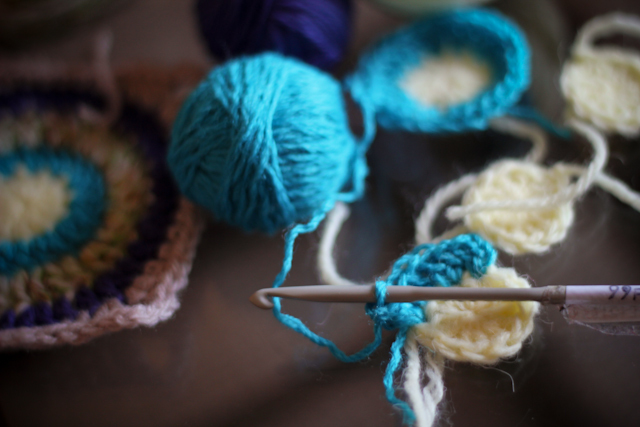 It was not only about blogging, it was about everything including my craft work. So I stopped working on my current projects. They just didn't bring me the joy they used to... But I just can't sit on a sofa not doing anything, I need to be busy, otherwise I start to feel worried, annoyed, bored and so on and so far. 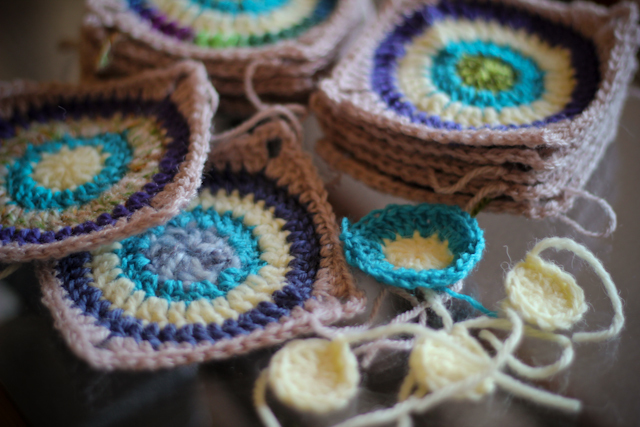 That is why I grabbed some yarn leftowers for my charity crochet, found an easy pattern online and here I am - crocheting granny squares for two days allready. The pattern is Bullseye Squares from Little Tin Bird. It is really easy and I like working on it. 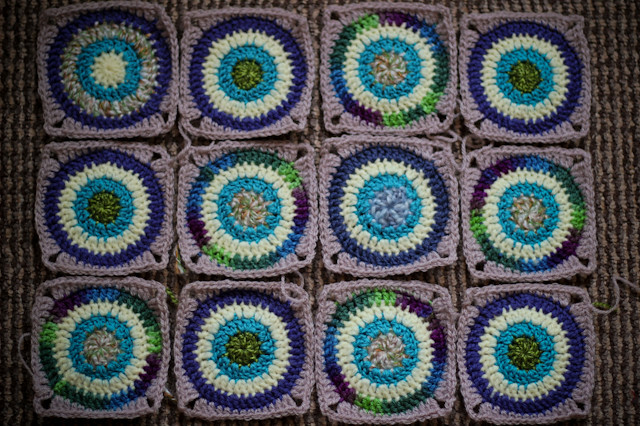 This squares will be sent to the ladies in Russia who make charity blankets for orphanages. I mentioned them before in my blog and allready sent them a parcel with tiny knitted socks, crocheted hats and booties and a couple of bunnies. Probably I would need about 80 squares to make the whole blanket, but this amount of work just scares me at the moment... So I will just continue crocheting the squares till i get complitely bored with them without thinking too much about the future.